This year started on a promising note for the super middleweight division. In January, IBF belt holder James DeGale faced Badou Jack, the WBC standard-bearer. A winner would have had a legitimate claim on world-title status. Instead, the fight ended in a draw. Jack has moved up to light heavyweight in the months since, demolishing Nathan Cleverly in his August debut at 175 pounds. 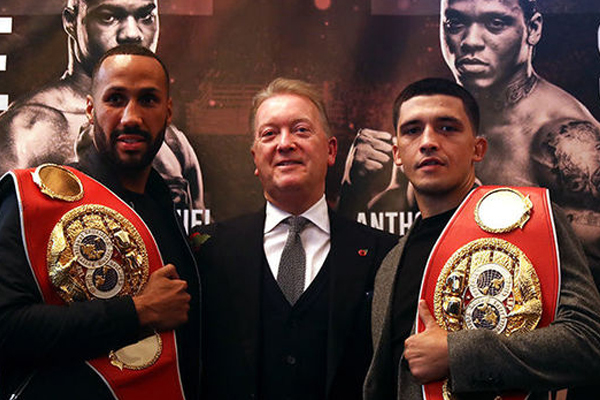 DeGale has not stepped into a professional ring all year long. On Saturday, he returns to action against Caleb Truax. Truax is a second-tier contender, but this should not be a significant test for DeGale. He has defeated some decent opponents–Donovan George and Matt Vanda, for example. But against high-level competition, he has come up short. Jermain Taylor knocked him out back in April 2012. Daniel Jacobs stopped him in April 2015 and Anthony Dirrell in April 2016. So while this isn’t a shocking mismatch, it is not exactly the kind of bout fans might like to see for a big star like DeGale. The Englishman could become the type of star that British fans travel to support. But he’s going to need bigger fights in 2018. The best fight for him right now would be against WBO champ Gilberto Ramirez–these are the two top fighters at 168 pounds and the winner would be the true world champion. Barring a fight with Ramirez, DeGale would benefit from a rematch with George Groves, the only man to beat him as a pro. Another great all-England matchup for DeGale would be Chris Eubanks Jr.